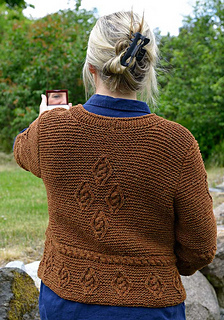 Worked in two strands of Silky Wool, it is more of a jacket than a cardigan. 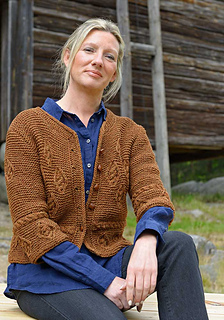 It has a number of unusual features such as an attached garter front band, horizontally attached cables and cabled motifs on a garter stitch background. 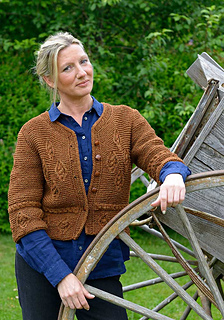 All this combines to create a quite bit of challenge even for an experienced knitter, but the finished result is a a unique garment that will give you years of joy.